These photographs in three different media – silver-gelatin, platinum/palladium and printing out paper (POP) – represent some of my personal favourites from the past twenty-five years. Each has found its way into collections variously in the USA, Canada, Europe and Australia. About half of them are published in my books Lines – written in Australia (point light 2002) and Intimations (point light 2004). Others are from the very limited artist books Figments (2007) and Meditations (2009) both of which are platinum/palladium collections. All but nine of the photographs are made by contact with the in-camera negative. In that sense it is a broad selection from several different portfolios and the only coherence I can claim is that they all come from the same eye and heart. I hope that collectively they convey some idea of my preferences, motivations and sensibilities. Over that period my passion has been almost totally focussed on the Australian land and lately much more intensely on very localised areas. Apart from making the roaming less extensive and less arduous this gives me the opportunity to create and consolidate my sense of such places which have long formed part of my life. 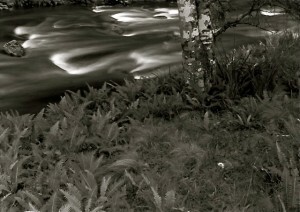 Gordon Undy is a fine art photographer working from his studio in Sydney, Australia. 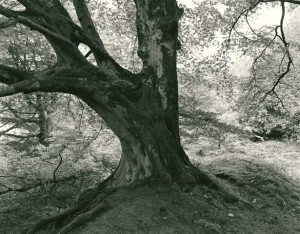 He took a Bachelor of Arts degree with honours at the University of Queensland and worked in and around the computer industry until 1991 when he was able to commit to photography full time on his own terms. 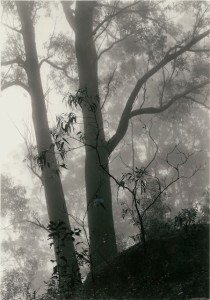 His passion is to interpret the intimate Australian landscape through photographs made in silver-gelatin, platinum/palladium and printing out paper. Field work is done in a variety of format sizes from 35mm to the 8×10 field camera. Undy favours an approach which honours the unique qualities of the photographic medium in recording and representing the nuances of light with a high degree of fidelity. His photographs explore the ideas of direct acceptance of the landscape, increasingly uncovering the inherent order in seeming chaos and delighting in the fractal nature of things.